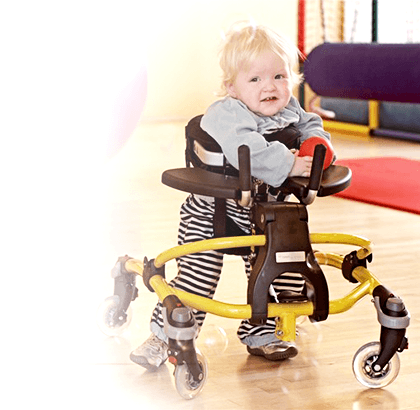 The Imp is a pediatric adaptive tricycle designed for children with special needs. 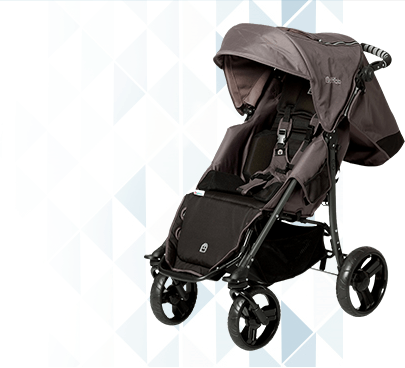 The Imp is a dual-axle foot propelled tricycle recommended for children ages 2 1/2 to 5 years old. This special needs tricycle is so durable that it is capable of supporting up to 70 lbs. (32 kg). Best of all, easy adjustments can be made for a childs growth in size as well as growth in riding ability. 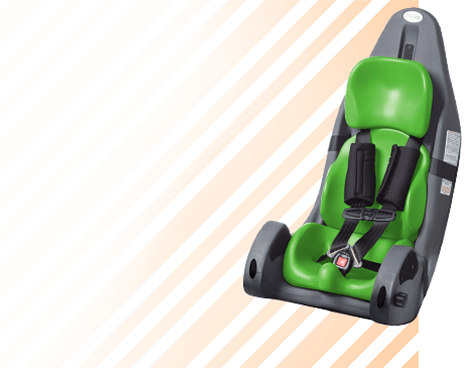 To determine if the Imp pediatric adaptive tricycle will appropriately fit your child, simply compare the inseam measurement to the Imps target range. 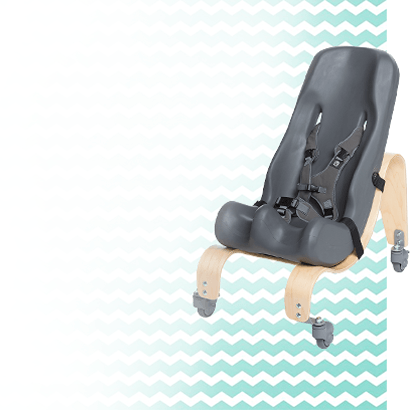 The inseam range for a child using the Imp is 12 1/2 - 15 1/2 inches (32-39.5 cm). 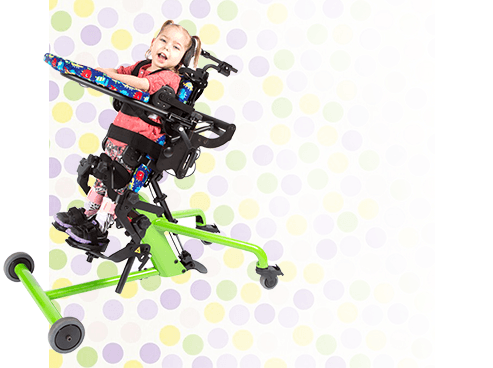 The dual axle drive system helps to reduce resistance when pedaling, making it easy for a child with low muscle tone and decreased strength to ride the tricycle. This dual-axle special needs tricycle is outfitted with a low ratio 1:1 fixed gear, which means that for one revolution of the pedals there is one revolution of the wheels. The fixed gear design enables the child with special needs to start moving the tricycle easily, put the tricycle in reverse, and slow down if going too fast! 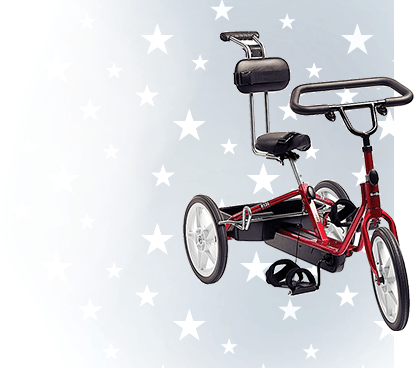 The Imp special needs tricycle combines a modern style design with comfort and safety features that are sure to enhance a childs strength, self-esteem and FUN! The Imps stability is built into the frame with a low center of gravity and a broad wheelbase, helping to prevent tipping. An adjustable steering stop is another stability feature the Imp offers to help control the turning circle of the special needs tricycle. Triaid Tricycles are manufactured in Scotland. Standard delivery time is four to six weeks. 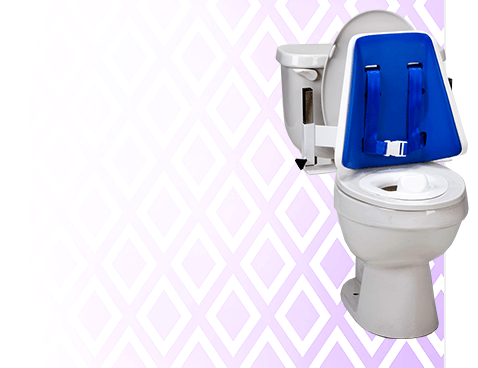 Please allow additional time for Special Order colors. For other great special needs tricycle choices, please click REHA PARTNER CYCLES or FREEDOM CONCEPTS TRICYCLES.